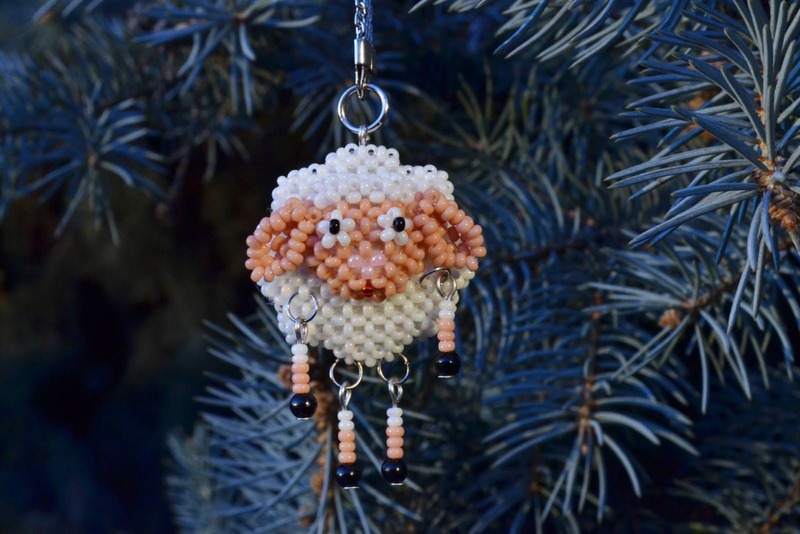 Master class of beads with patterns of weaving will show how to make earrings yourself. thread for weaving or fishing line. We type on the line 6 round green-orange beads. We link all beads to a circle. It is important to firmly fix the beginning of the weaving. You can go through this circle several times. We leave from any beads and we type on a string of 6 red beads. Passing 1 bead, enter the next in the course of the weaving. We weave a chain of 6 red beads. Similarly, we pass through all the central beads. We leave the green-orange bead. We type 2 gray beads. We enter the same bead, but on the other hand. We weave 2 gray beads. To all three beads we weave on 2 gray beads. We leave the first red bead. We type 6 red beads. We enter the first red bead, letting 2 gray. Repeat step 8 over the next 2 gray beads. Over all the gray beads - 6 red beads. We leave between 3 and 4 beads. We type 6 red beads. We enter the third red bead over the green-orange. It is in the middle between the red beads. We type 6 red beads and enter between the third and fourth beads. We do not cover the third side with red beads. We go down between the third and fourth beads. We type 1 green-orange bead. We go forward in the course of the weaving. We pass all the weaving. We fix the weaving. We tie the thread and cut it. 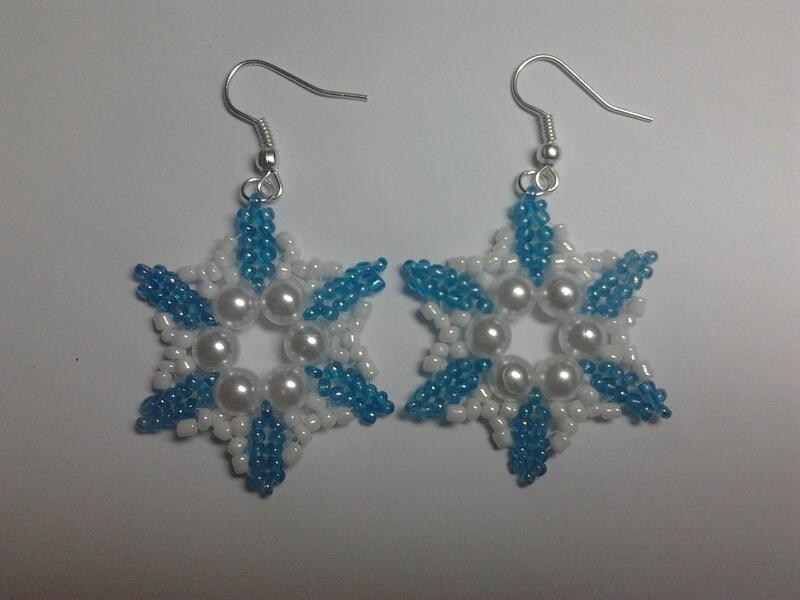 The second earring is similar to the first one. Here is a new decoration ready. I'm sure your loved ones will appreciate such a gift. Spring crafts in kindergarten. Ideas for educators and children.